This, in my opinion, is the point in which the series gets really interesting, with the addition of a bunch of characters and increased focus on the bad guys. I use that term lightly because in a way, all of the main characters are bad guys because they all kill people. You can try to justify the actions of those from both sides, but what makes your sense of judgment more valid than theirs? Everyone is kinda morally ambiguous, and whether they’re “bad” depends largely on the viewer. However, as much as I like Esdeath as a cool, fantasy sadist, I think we can agree that she’s not a very good person. Though when compared to the gluttonous, corrupt, vile Prime Minister of the empire, Esdeath at least has a sense of honor for those close to her. She has no tolerance for the weak, but she uses that as a reason to avenge the deaths of Daidara, Nyau, and Liver. We can expect the same amount of dedication to be given to her new colleagues: the Jaegers. This new squad is made up of Akame’s sister, Kurome, the shy exterminator, Bols, the angel-like man, Run, the stylish doctor, Dr. Stylish, the ally of justice, Seryu Ubiquitous, and the Tatsumi parallel from the cuts, Wave. Once again, even though these are the “bad guys,” these are some of the most interesting characters in the series, both personality-wise and based off of their abilities. In her venture for true love, Esdeath holds a tournament in hopes of luring out her dream man. I’m sure many of you could have guessed what was going to happen from here. 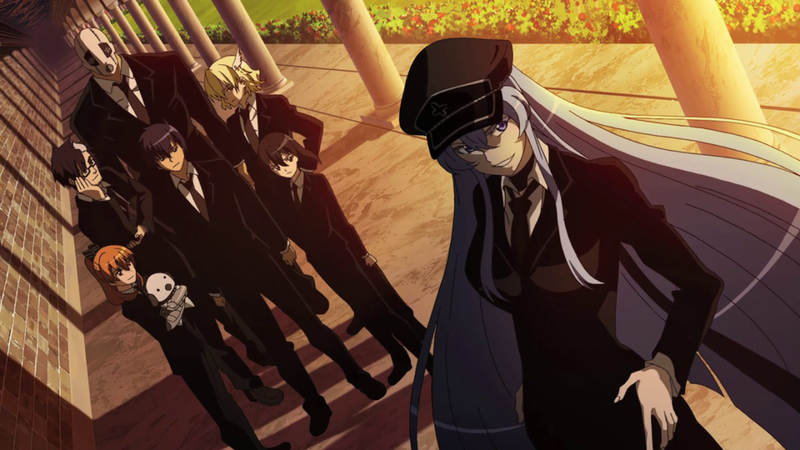 Tatsumi enters the tournament magically wows Esdeath with his devilish charm and combat ability. His prize? Becoming Esdeath’s new pet. Not that bad of a prize, in my opinion. At least you’re guaranteed to be safe! The only price you pay is letting her do whatever she wants to you. Once again, not such a bad thing in my opinion.